Recent months have seen two major cyber-attacks by ransomware. To protect your business from ransomware is to protect your investment in the invaluable and irrecoverable resource: time. WannaCry was the first to hit. Despite the funny name, it is a very aggressive piece of ransomware, taking businesses around the world at unawares on May 12th, infecting 200,000 computers in just 2 days. The attack caused major disruption to hospitals, telecom companies and gas and utilities plants with one of the worst hit organizations being the National Health Service (NHS) in the UK. The second was Petya, which caused damage in organizations like WPP, Mondelez, DLA Piper and Maersk in Europe and the US. As it originated in the Ukraine, many of the country’s organizations were also affected – the government, banks, state power utilities, transport systems and even the radiation monitoring system in Chernobyl. Ransomware is a type of malware that blocks access to a computer system until a ransom is paid. Traditionally, ransomware is spread by getting victims to click on a link or download it by mistake. Once it’s in the victim’s computer, it locks all files. The attackers then demand payment, warning that files will otherwise be deleted. This kind of attack is particularly dangerous for businesses because it takes just one employee to become infected for the attack to spread in the entire network, and sometimes even across countries to other subsidiaries, without any user interaction. WannaCry and Petya are even more dangerous because they have a “worm” component that exploits a vulnerability in the Windows operating system, a flaw that allows a remote attacker to run code on a vulnerable computer and plant ransomware without any human and local action. This unprecedented behavior makes it the perfect tool to attack specific environments or infrastructures, such as servers running a vulnerable version of the Server Message Block (SMB) protocol. These attacks demonstrate just why it’s so important that businesses take steps to protect themselves from ransomware. After all, in this challenging economic climate, who can afford the luxury of downtime? 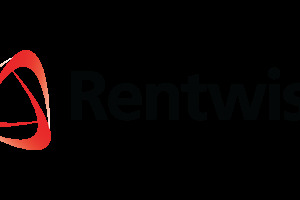 At Rentwise, we understand that you need hassle-free solutions that work to defend your business. That’s why we provide comprehensive, end-to-end green IT infrastructure solutions that are not just environmentally friendly, but secure; so that your data remains safe, and your business operations, uninterrupted. To serve your needs better, we’ve partnered with Bitdefender and Cibecs and bundled all our rental computers and laptops with Bitdefender Antivirus and Cibecs data protection software. Further to that, our network solutions come equipped with WatchGuard Firewall. WatchGuard’s Total Security Suite guards your servers and networks while Bitdefender and Cibecs protect your end-points. As an end-to-end green IT solution partner, Rentwise recognizes the importance of providing a secured green IT infrastructure that spans the depth and breadth of a business operation. This is achieved at the forefront with Bitdefender and Cibecs protecting the end users from any immediate threats and helps in data restoration respectively, while WatchGuard scans the back-end by monitoring the broadband traffic exchanges in the data centre via its ATP and APT technologies. We believe this comprehensive configuration stands as a potent combination to combat ransomware. To this date, all Bitdefender customers have been successfully protected from WannaCry. Bitdefender’s next-generation machine-learning and memory introspection technologies ensure that customers will be similarly protected from any other such attack. Also, Bitdefender’s unique and revolutionary Hypervisor Introspection technology is able to protect computers from the EternalBlue exploitation technique, which is used by both WannaCry and Petya. Because paying the ransom is no guarantee of businesses getting their files back, what’s needed is a reliable and secure backup system offered by Cibecs. Cibecs is an effective endpoint backup & data protection solution for business, which is widely used and trusted by thousands of companies worldwide. It’s also easy to deploy and manage and equips IT with a single solution for complete end-user data protection. Being protected from end to end is your best defense against ransomware! So talk to us today for the best solutions to protect your business from ransomware.